Last year in November, The National Cancer Institute (NCI) and #LCSM Chat worked together to conduct a Twitter chat on precision medicine in lung cancer treatment. This year, we’ve taken our collaboration a step further to create a highly engaging, interactive online event. For Lung Cancer Awareness Month this year (#LCAM15), The NCI and #LCSM Chat are excited to announce we will co-host a one hour Google Hangout on Air on “The Changing Landscape of Lung Cancer Research and Treatment” on November 19, 2015 at 2:00 ET. You can watch the Hangout LIVE online by clicking HERE. During the Google Hangout, we will also be co-hosting a simultaneous #LCSM Chat on Twitter on the same topic to expand on the discussion. If you have questions you would like answered by the experts in the Hangout, tweet them during the chat (or before) using the #LCSM hashtag. You can read about how to participate in an #LCSM Twitter chat here. David Tom Cooke MD, FACS, Head, Section of General Thoracic Surgery University of California at Davis, and an #LCSM Co-Founder (@UCD_ChestHealth). T1: What new aspects of lung cancer clinical research are you excited about? What’s new in clinical trials? T2: How is translational research different from clinical research? What new projects in translational research are you excited about? 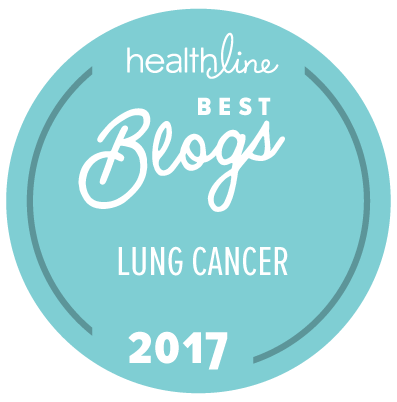 T3: What new directions in basic lung cancer research give you the most hope? T4: How can the lung cancer community help researchers to give us more new treatments sooner? Feel free to tweet questions of the presenters in the #LCSM tweetchat—just include the hashtag “#LCSM” in your tweet. NCI social media people will collect the questions from the Twitter feed and feed them to Janet so she can ask them during the Hangout. If you’re not comfortable with Twitter, just post your question in the comment section of this blog post. We will make sure your question gets added to the list. It promises to be a lively and vibrant discussion about current lung cancer research, clinical trials, and future treatment options. We hope you tune in to the Hangout on Air and/or join the #LCSM Chat on Twitter. If you aren’t able to join us live, don’t worry — the hangout will be recorded and posted on YouTube shortly after the event, and a Storify of the Twitter chat will be posted within a week. As usual, you can find transcripts of past #LCSM Chats on our “Schedules and Transcripts” page. After the 11/19 Hangout is over, we’d appreciate your completing a brief survey to let us know what you thought about the Hangout, and what you would like to see in future #LCSM Hangouts. Click here to take the survey. #LCSM Chat is pleased to announce a special #LCSM Chat for Lung Cancer Awareness Month will be held on WEDNESDAY, November 5 at 1 PM Eastern Time (NOT our usual day and time). The National Cancer Institute (@theNCI) and a panel of experts will be using the #LCSM hashtag to talk about exciting new lung cancer treatment options! Below is NCI’s announcement about the November 5 Chat. On Wednesday, November 5 from 1:00-2:00 ET, the National Cancer Institute (@theNCI) will be hosting a Twitter chat on precision medicine in lung cancer using the #LCSM hashtag. During the chat, the experts will be discussing, among other topics, how lung cancer treatment has changed over the last few years, provide more information about the definition of “precision medicine” as it applies to lung cancer, discuss when patients might consider a clinical trial, as well as provide more background and specifics on the Lung-MAP and ALCHEMIST clinical trials.